In part one of this series, we cover avian influenza, bumblefoot, blowout, cannibalism, coccidiosis and conjunctivitis. 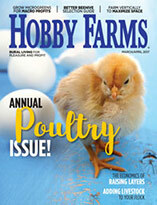 Welcome to our series on poultry health. Throughout the year, we’ll head down the alphabet, from A through Z, to cover some of the most common and concerning poultry ailments, illnesses and diseases as well as how to prevent and treat them. Let’s get started with letters A through C.
We don’t waste any time, do we? This is a big one. Before we get into how it might affect your flock, though, let’s first bust one myth about the bird flu: that you’ll get the influenza virus if your birds do. It’s much more complicated than that. While it’s true that the avian and human influenza viruses are the same type, huge genetic differences exist between the subtypes that infect birds and people. While it’s possible to become infected when coming into contact with a sick bird, the spread to humans is incredibly rare. When avian influenza hits birds, it ranges so widely in symptoms that it can be difficult to diagnose without the assistance of an avian veterinarian because it can look like so many other ailments. Sick birds might show mild symptoms or be so severely afflicted that rapid decline and death occur before diagnosis. Symptoms include coughing and sneezing, loss of appetite or loose stools, and obvious problems relating to the nervous system. Hens can also stop laying or lay soft-shelled eggs. The good news is that avian influenza, while widespread when it does occur, is rare in backyard flocks in the U.S. and Canada because the conditions rarely support it. Bird flu more often affects large poultry operations where living conditions are poor. With this in mind, if you live near one of these large operations, stay abreast of the health of the birds. If an outbreak does occur, keep out of contact with sick birds or anyone handling them, and keep your birds indoors for a quarantine period until the outbreak is contained. Far less fatal and far less serious, bumblefoot is an easily preventable yet unfortunately rather common ailment in young and mature chickens. Bumblefoot is a chronic infection on the footpad, often the result of an injury that became infected. It’s easily diagnosed by locating the abscess on the footpad. Bumblefoot is very easily prevented, far more so than treating it once it has occurred: Reduce—or eliminate, if you can—any time that your birds spend on wire. Keep the coop and all enclosures clean with deep, dry bedding, and clean the litter regularly. Keep all roosts sanded down and at heights birds can reach. In short, avoid situations where the feet might become injured. Bumblefoot can be very difficult to treat. In some cases, a veterinarian can inject penicillin into the swollen area. Otherwise, the abscess needs to be removed manually, dressed properly and kept incredibly clean. For humans, impetigo is a mild health risk, so wear gloves when handling birds with bumblefoot. Properly called prolapse, a blowout occurs when the lower part of the oviduct is turned inside out and ends up on the outside of the vent. It’s a reproductive complication that can occur in any pullet or hen but is more common in certain breeds and strains of those breeds. Applying hemorrhoid cream to the vent and isolating the hen until she improves can remedy minor prolapsed vents. If she’s not treated or left with the flock, the other birds will undoubtedly pick at the vent and worsen the situation. Don’t take chances with flock cannibalism. Prevention is important but can’t always save a hen from developing a blowout, as some hens are bred to lay early or lay exceptionally large eggs, making them more prone to prolapse. Raise breeds that don’t lay gargantuan eggs or start too early. Feed birds a properly managed diet that matches their age and stage of life; hens with too much fat in their diets can accumulate fat stores in their reproductive system, making reproductive disorders more likely. Chicken cannibalism is a highly unfortunate, sometimes heartbreaking, evolutionary tactic bird flocks have developed. In a healthy flock, with plenty of physical space for each bird, the flock keeps a hierarchy of alpha to subordinate birds. Each bird knows where she stands in the hierarchy. That status is reinforced in subtle as well as overt ways daily. 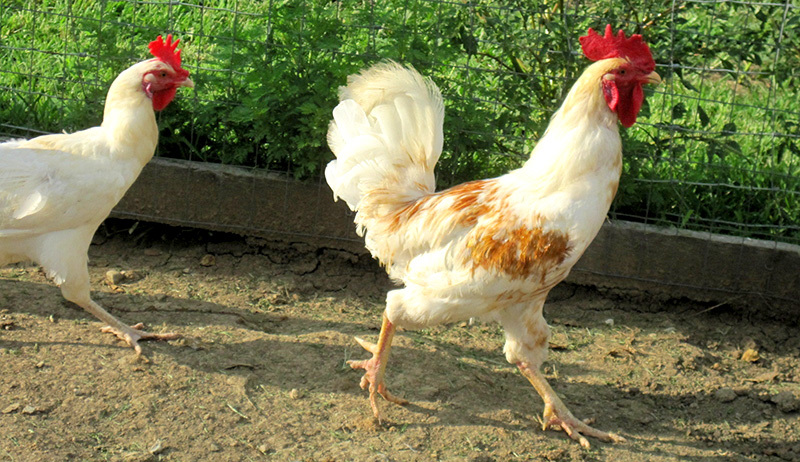 If a rooster is present in the flock, he is almost immediately considered the alpha, and the hens still fall within the hierarchy below him. Mild pecking, picking, chasing and grabbing at feathers are natural ways birds will reinforce these roles, but when the pecking order gets out of balance, aggressive pecking begins and others will follow suit. Cannibalism is not reserved solely for adult birds, either. 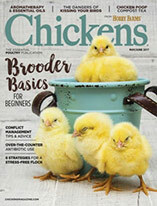 Mature chickens will target chicks, and even minor pecks on tiny chicks can be fatal. Mature birds will also consume eggs under certain circumstances, a big problem known as egg-eating. The previous few paragraphs might paint a scary picture, but there’s some really good news when it comes to chicken cannibalism: The prevention is exactly the same as the treatment, and that is to simply give the birds more space. It’s much easier to build a larger coop before you have a flock of chickens that need more space. The big takeaway is to create adequate housing for a flock larger than you anticipate keeping at first, just to be safe. Average 10 square feet of housing per bird in an outdoor enclosure, and 3 to 5 square feet per bird for the coop (if the coop is used only for laying eggs and safely roosting at night). Allow your birds to free-range on pasture, if possible, and more often than not. Letting chickens be chickens and demonstrate their natural behaviors—grazing, hunting for bugs, dust bathing and preening in the sun—are the best ways to prevent cannibalism, because it basically comes about from boredom. Prevent egg-eating by collecting eggs daily and providing a nest box that is enclosed, low to the ground, dark, soft and dry. Eliminate any egg-eating hens from your flock as soon as you can, because the behavior is quite contagious. Several protozoa known as coccidia cause a rapidly advancing, often fatal disease called coccidiosis in very young and developing birds. Nine strains affect poultry. 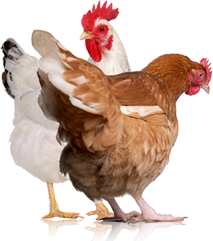 Coccidia exist everywhere outdoors and are carried and sometimes transmitted from wild birds or other chicken flocks. While it’s possible for adult chickens to contract coccidiosis, it’s most common in chicks 3 to 5 weeks old and in humid, warm and damp conditions. Unfortunately, the mortality rate of coccidiosis is very high. It’s most easily diagnosed by blood in the stool, but at that stage of development, the disease is almost always fatal, and the bird will not live long. Chicks with coccidiosis will show signs of droopiness, crouching with feathers ruffled, little or no appetite, and slow or no growth in the early stages of the disease. Good sanitation is a crucial preventative measure against coccidiosis. Keep chick brooders clean, dry and free of excess droppings. Expose chicks gradually to any existing adult flocks to build their systems’ tolerance to the protozoa that live naturally in their environment. This is important of birds born in a hatchery and shipped to new surroundings. Prevention also includes administering a vaccine on the first day of life. However, there are some caveats. Vaccines must be given only on the first day of life to be effective, and the inoculations cover only six of the nine strains. Treatment for coccidiosis includes a medication called amprolium, and surviving birds are rarely as strong as birds that never contract the disease. The signs of conjunctivitis are clear, but you must look closely at the bird to read them. An affected bird will avoid sunlight and attempt to rub its eyes with its wings. The eyes can appear cloudy, or they might water, later becoming crusty with discharge. Blindness follows in progressed cases. Mortality varies among birds and flocks, considering the initial and overall health of the hens. It some cases, it resembles a respiratory disease. Thankfully, conjunctivitis is not contagious, but it is environmental, meaning sanitation and healthy management practices are paramount to preventing it. Dusty and dry conditions can exacerbate it, but it’s often caused by the buildup of ammonia fumes in flocks confined to coops or enclosures without adequate airflow and thus are rather damp. Prevention is to replace soiled and wet litter with dry and clean bedding, and allow the flock adequate outside time to pasture. Thank you for joining us on this first installment of our yearlong health series, and be sure to check in on the upcoming March/April issue for ailments beginning with letters D (for digestive) and E (for egg-related). Until then, stay healthy.